When launching a brand new website in a competitive marketplace you have a lot of network effects working against you. Your competition has years of conversion data, an older trusted site, tons of content, and thousands of organic inbound links. Try to beat them right from the start for the most potent high-value keywords and you will likely fail. Any new website has opportunity cost. One of my first goals with a new site is to get it to self-sustaining while it is still growing rapidly. In doing that, I can afford to lock up that capital with no returns because I know I am buying market-share in a fairly organic manner, and few competitors will operate at that strategic level or see me coming. Whenever the site has enough exposure then advertising (and other promotional spending) can be cut as needed. If I target the most competitive keywords first (without a strong competitive advantage - like a network of sites to build off, an old trusted website, a huge brand, or a strong domain name) then I might never get to self-sustaining. There is no award, little traffic, and virtually no value for ranking on page 2 or page 3, even if it is for an exceptionally competitive and high traffic keyword like credit cards. Longtail keywords have less competition, and are thus far easier to rank for, as illustrated below. And the good news is that if you target best credit cards or compare credit cards that will help you rank for credit cards as your site gains link authority and trust in Google. Eventually you want to rank your site for many of the most valuable phrases, but you need to build a revenue stream to support those efforts. By focusing on the second tier and third tier keywords first, you enable yourself an opportunity to earn (and buy) the exposure needed to rank for the core keywords. This site does not rank well for SEO just because I decided to target that keyword, but because we helped create many paths into this site...which helped to build the authority of the site...which helps it rank better for the core keywords. Very true. It can also be a big help in planning out your site architecture ahead of time. Whether you are planning out theme based silos for your site or just making a plain and simple publishing schedule it will certainly start to add up. It also seems to help to use all of those long tail keyword pages to link back to your home page and other more highly competitive pages with strong internal anchor text. Great way to explain it, Aaron. I have a client meeting next week that will benefit from this kind of sense. They have a newly built site, with little content as yet. As my advice on the site structure was to build it around TopKW_area1, TopKW_area2 ... I expect the next question will be "Why don't we now rank in the top 3 for CompKW1 already?" Having structured the site around the competitive KW for the future, of course we now need to chase after all those long tail queries to get the traffic rolling. Thanks for your site, as always. You can rank for long-tail phrases without any links from within the community? Would it be possible to rank for "compare credit cards" if you created such a site and linked to it from "only" seobook com and some other sites that have absolutely nothing to do with credit cards? Would link authority be enough to rank for that term? Whereas for "credit cards" you could pile up link authority from seobook, cnn, bbc, nba com, etc. and not get a top spot if you dont have any actual links from related sites? Keep in mind the percentages I chose were a bit arbitrary rather than being absolute...but the point was that for longtail keywords there may not be an easy to define community around them. You may want to read up on LocalRank. I was thinking that the percentages weren't meant to be percentages in that way, but was still a bit surprised at it. Anyway, thanks for the link, I'll check it out! Varying importance of on-page optimization? Thanks for the article Aaron, it was very timely since I am currently in process of retargeting one of my websites. What I didn't understand though was why the criteria for rankings (i.e. the percentages) vary from generic keywords to long tail keywords. Can you explain this bit again please? Isn't SEO always the same regardless of the keyword? I understand that on-page optimization becomes really significant for long-tail keywords because exact matches are less common but that doesn't make linking any less important, no? I think on-page optimization is always say 40% of the deal, but since generic keywords are so common, then people compete through links. Is this what you meant? If you read through search research, some of the research talks about having multiple indexes...one for link anchor text and page title, and yet another for full page text. If there are not enough matches in the links and anchor text index then the full index must be used. That may have been a shorthand strategy for when computing power was more limited, but it is such a computational time saving hack that most likely it is still in use at many of the major search engines. Competitive markets where many people are targeting the keywords are sorted out primarily through domain authority and linkage data. For longtail keywords there are fewer matching pages (and way less competition)...so simply having a phrase on your page might be enough to help your page rank. I agree entirely that first you need to target long tail keywords and then move up to more competitive keywords. The difficulty can be to find those long tail keywords that can also generate monthly traffic. 2. even if you have money if your SEO is for a language like romanian (like I need it sometimes) then tools like wordtracker don't return anything. Even with these difficulties you can use Google's Keyword External Tool and get some decent results. And even if you'll have to work a little bit harder to find some relevant worth targeting long tail keywords it will worth your efforts. And this is where tools like our keyword list generator can come in handy. I've been reading SEO Book for some time now, and recently I decided to perform a "Long Tail Test". I decided to rank #1 on Google for the phrase 'Hairpiece Racing'. Well, I reasoned that ranking #1 for an obscure, unused term is a step in the direction of ranking for more useful words and phrases. Now I use the strategies you outlined for my blog as a whole. It's thrilling checking my Analytics reports to see more and more traffic coming my way. Rather than thinking of keywords as not competitive or being super competitive it is best to think of them as having a range of competition...where it is more of an analog signal than a digital one. Do you find it acceptable to be in the 7-10 range when going against the big guns? I have a few long-tail keywords starting to pop up around the bottom of the first page, and by changing the internal anchor text, could raise even higher, but I am concerned about what kind of flag this would trigger..
Feel free to test changing the links to one or two pages...you don't have to change all your strategies at once. I think you're absolutely right. With Google telling us that the average query is 4 words long and 20-25% of all queries are completely new, it definitely makes sense to start targeting more complex queries. I'm seeing another plus long-term: as you target long-tail keywords, you tend to pull searches deeper into your site which (1) helps reveal content to the spiders, and (2) naturally attracts deeper links, pulling more long-tail power. Well written post, makes sense. 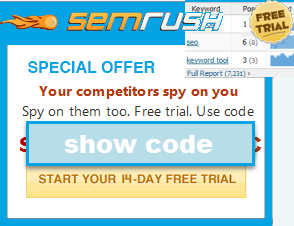 Is the idea here that you have specific pages which always remain optimised for your long-tail keywords, e.g. seobook.com/compare-credit-cards and then you eventually try to compete on the short-tail phrases on your homepage? Or are you suggesting optimising the homepage for the longtail phrase and then later customising the content on the homepage to focus on the shorter-tail phrase? Or do you forget the homepage and just build specific pages for each long-tail or short-tail phrase? "using your core pages (and link anchor text) to target lower competition variations of your core keywords (like best credit cards or compare credit cards) rather than targeting just the core competitive keyword credit cards"
My belief is that more people type more words into search engines in hopes of finding a solution to an issue they're experiencing. The smart marketing move would to focus on longtail keywords, along with 'questions' formatted keywords that target your market specifically. A lot of seos do their keyword research and finish with a small list of keywords that they know they can rank for and will bring an OK amount of traffic. This is right to some extent but also very narrow minded. I'll build a relevant list of keywords which i then group into primary, secondary and tertiary objectives -- depending on the level of competition facing each of them. The primary keywords are the immediate goal (generally geographic, brand related or longtail), secondary are midtail and tertiary are the long term, generic objectives. Once i have this list I can then offer my clients an honest approach and estimated time to success based on these levels of competition and the hours/package they've gone for. Achieving quick rankings for the primary keywords is also a good way to keep the client happy. I never drop a relevant keyword because it's too competitive or a longtail because it's not going to bring loads of traffic -- i just figure out a way to fit all the relevant keywords into a long term and forthright seo campaign. Head keywords should not be ignored...but they shouldn't be the primary focus for a brand new website (unless it is an exact match) if they are in a fairly competitive field. You can add modifiers to the core keywords to get related words that you can rank for much easier (and much earlier) than the core keywords, and use that revenue stream to reinvest into capturing the core keywords. Once again Aaron a stunning post. I remember years ago, even before I read your book :), I tried to get a webpage ranking high for a competitive two word keyword. For months I was on page 2 despite a lot of effort. Then suddenly I noticed traffic coming from a long tail variation of the keyword I was chasing. I changed tactic and went after the long tail. Hey presto - decent traffic. Great post - thanks again. I think most of us learn things the hard way Mike. But it is nice when there are explanations of why thinks work a certain way such that we can compare them against our personal experiences to better understand the search game as a whole. Besides everything mentioned above, for many markets long tail keywords are also the ones that actually convert better - e.g. compare what kind of traffic a site is likely to get for "computers" vs "buy asus eee new york". Long time no comment IrishWonder. Welcome back! Totally agree that longtail is a cornerstone of effective white hat or black hat in part because the strategy brings visitors that convert so well. Thanks Aaron for these insights. Due to PPC competition, I knew first page ranking for keywords was hard; if not impossible. However, I was a particularly struck by your comment that people are too darn lazy to look past page one when searching. Personally, it is a waste of time for me to look at page 25 or so, but it is more due to the fact that irrelevant URLs and descriptives are turning up. Do you think writing a better URL descriptive helps too? Is these a good or bad set of longtail and why? Someone please tell me do i need to build links for longtail? Should the anchor text link say what the longtail is or should it be a variant? Why? Please email your answer to teamalanscott@gmail.com or bsentertainmentinc@yahoo.com Thanks I hope only serious people reply so I can get good advice. ..to work for you for free.